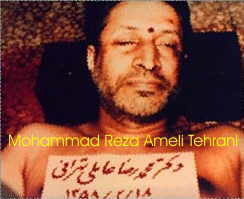 Identified after he we was Executed. Dr. Ameli was born in 1927 (2466 Iranian Calendar). 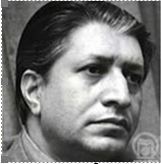 He was University of Tehran Medical graduate, specializing in anesthesiology. When he was 14 started political activity, he was life long nationalist. Author of several books and numerous articles on the subject. He had tendencies of encouraging other to patriotism. He believe that it is nationalism that incorporates freedom, democratic values, and mutual respect in relations with other nations. He encouraged share of Iran’s heritage, culture, values and language in all areas of education, commercial cooperation at the same time developing good relations with all countries based on Mutual respect. He cared less than nothing. He had no wealth to leave behind and his wife and four children were left in absolute poverty. His last will and testament was full of references to Iran and ended with his final wish from his family: Do not think about me, think about Iran.